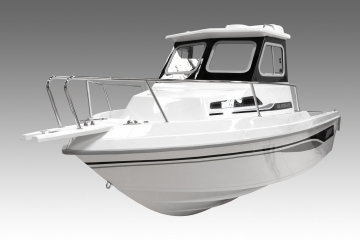 It’s a light boat, very well balanced in terms of space, with a good load capacity and can be adapted to various types of fishing. 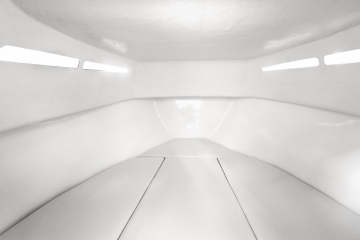 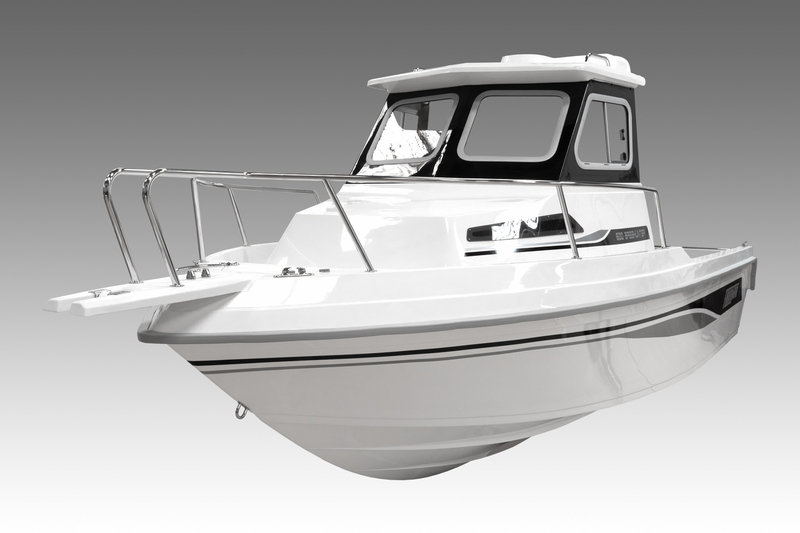 The simplicity and functionality were the main lines in the design and conception of this model. 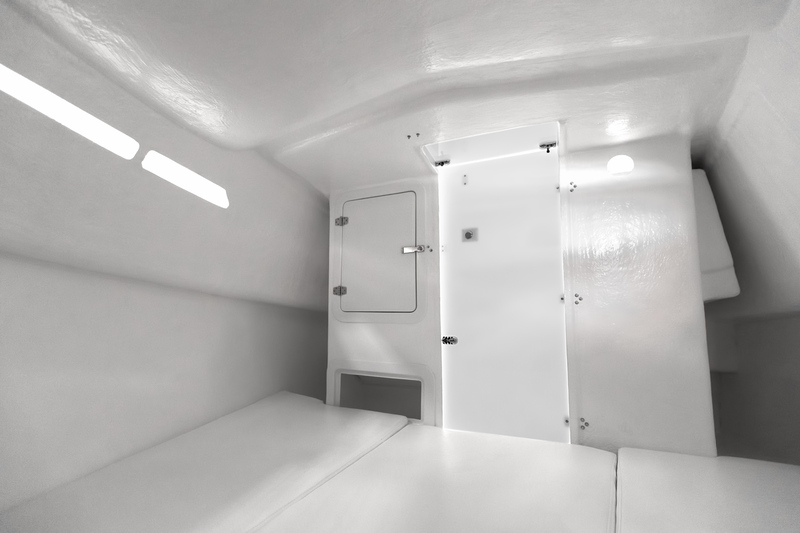 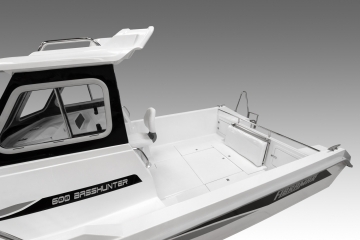 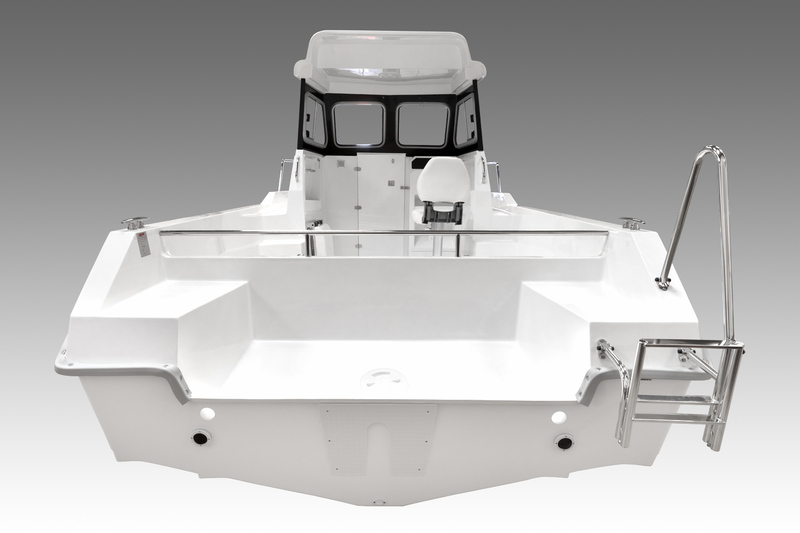 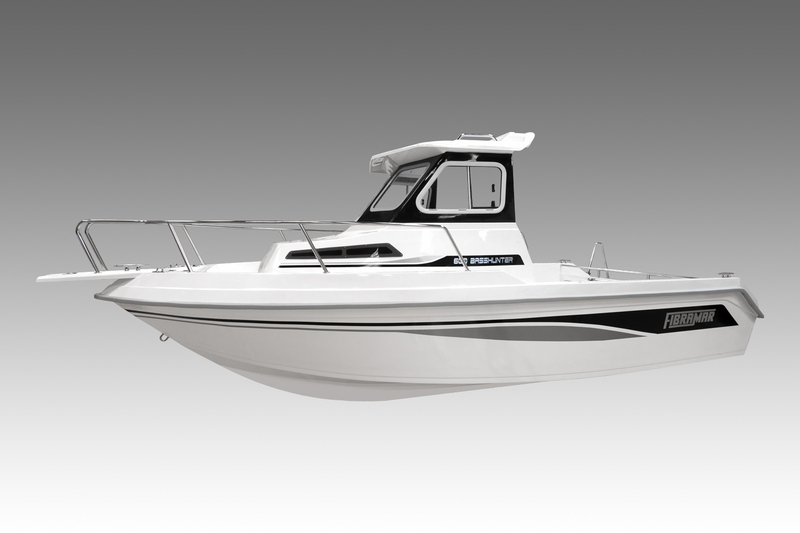 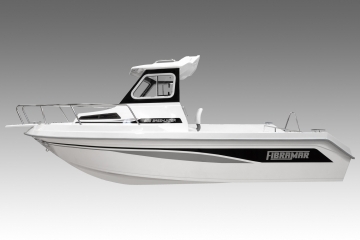 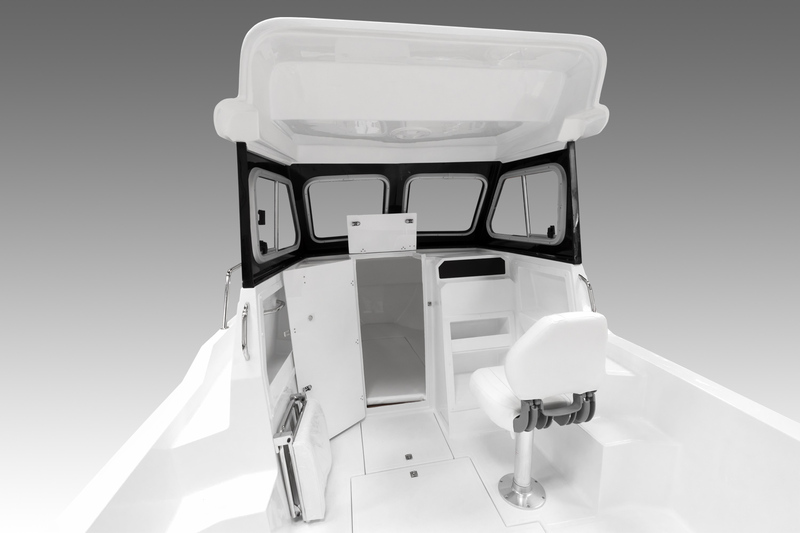 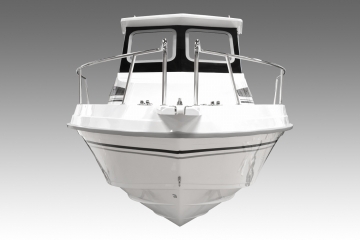 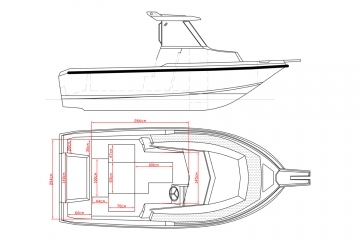 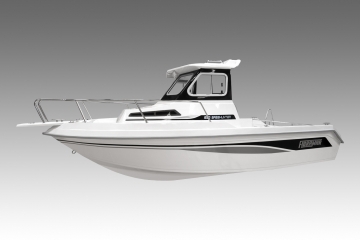 Their use in sport fishing is the main goal and therefore the entire interior was designed in order to facilitate the life of the fisherman on board. The deck has a good size with a large basement and a border with enough height for the fisherman to remain leaned with comfort and safety. 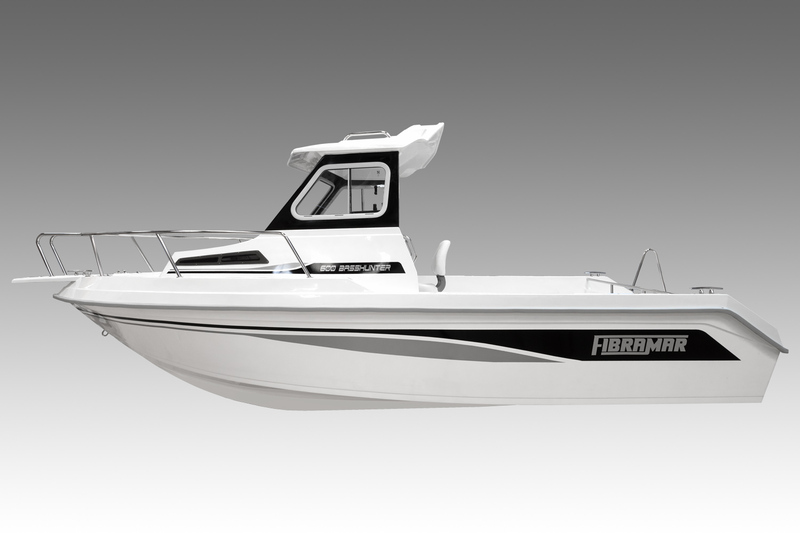 It has an appreciable behavior in the sea, and for those who want to fish a few miles from the coast, it is a great choice. 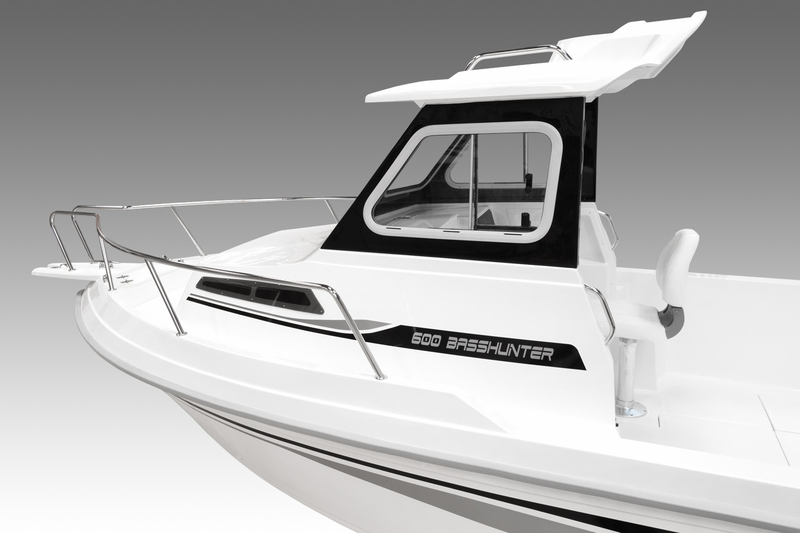 It is also available in a semi-cabin version, similar to the model 550 Estelas. 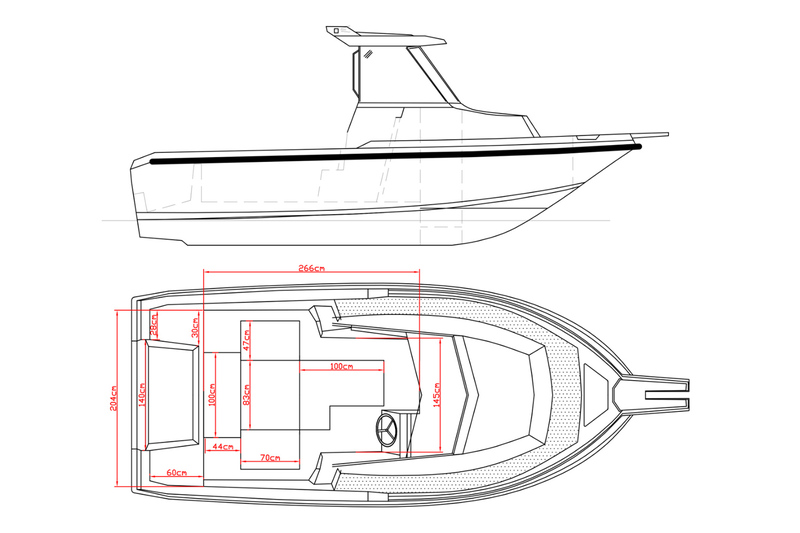 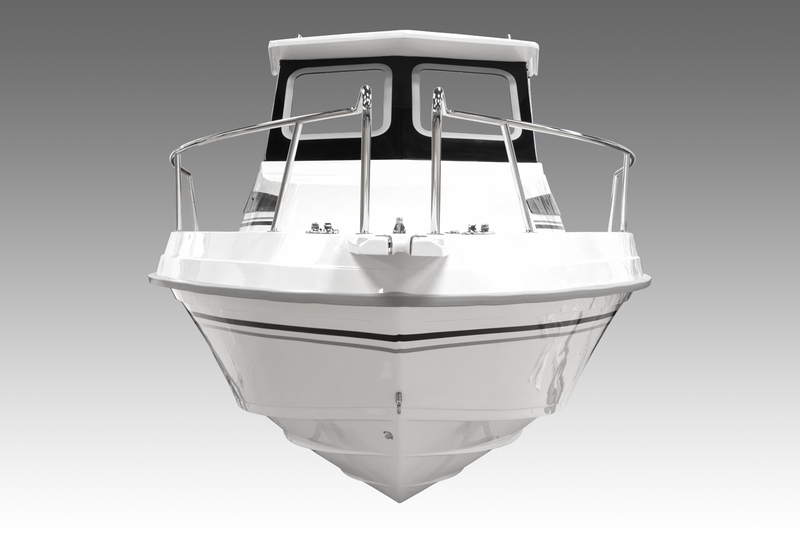 Cleats, skene bow chocks, U-bolt bow eye, bow rail, transom rail, embedded benches at the stern, cabin handrails, rotating pilot seat, co-pilot foldable seat, foldable ladder, bow roller, compartments for storage at bow and stern with locks, self-draining anchor locker, self-draining deck, non-slip deck, pads interior trim, cushions, fuel tank 100L. 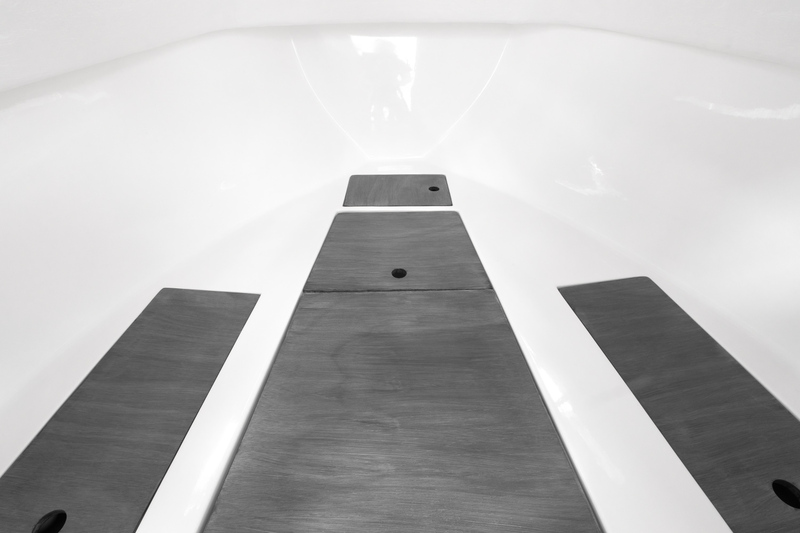 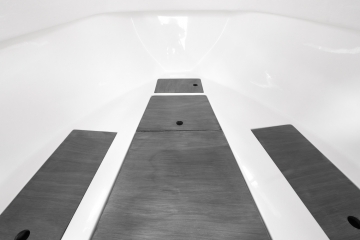 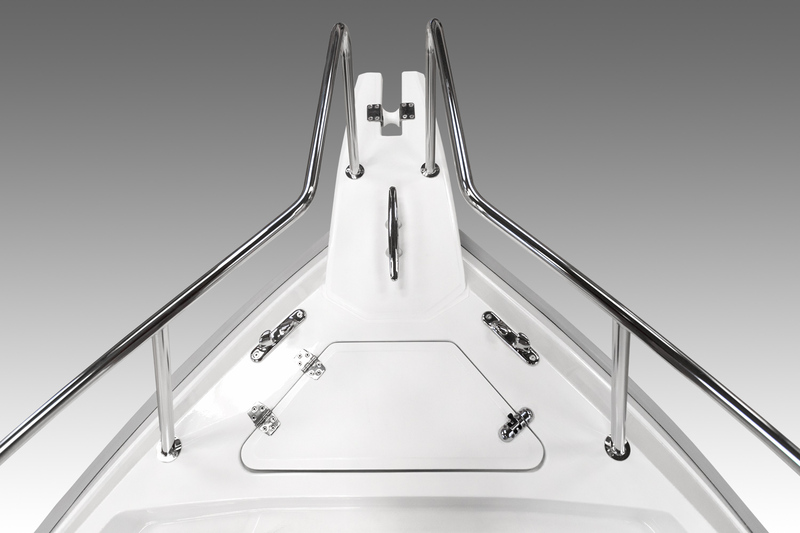 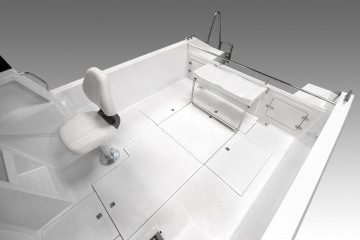 Color of the hull, table, handrails, side handrails, rod holders.